Comparison is an indispensable intellectual operation that plays a crucial role in the formation of knowledge. Yet comparison often leads us to forego attention to nuance, detail, and context, perhaps leaving us bereft of an ethical obligation to take things correspondingly as they are. 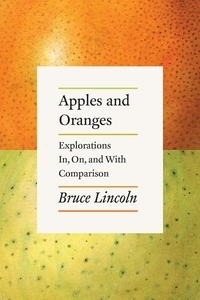 Examining the practice of comparison across the study of history, language, religion, and culture, distinguished scholar of religion Bruce Lincoln argues in Apples and Oranges for a comparatism of a more modest sort. Lincoln presents critiques of recent attempts at grand comparison, and enlists numerous theoretical examples of how a more modest, cautious, and discriminating form of comparison might work and what it can accomplish. He does this through studies of shamans, werewolves, human sacrifices, apocalyptic prophecies, sacred kings, and surveys of materials as diverse and wide-ranging as Beowulf, Herodotus's account of the Scythians, the Native American Ghost Dance, and the Spanish Civil War. 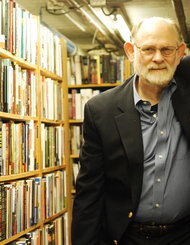 Ultimately, Lincoln argues that concentrating one's focus on a relatively small number of items that the researcher can compare closely, offering equal attention to relations of similarity and difference, not only grants dignity to all parties considered, it yields more reliable and more interesting--if less grandiose--results. Giving equal attention to the social, historical, and political contexts and subtexts of religious and literary texts also allows scholars not just to assess their content, but also to understand the forces, problems, and circumstances that motivated and shaped them.